Batman ‘66 aesthetic is burned into the very fabric of pop culture—bright lights, bold colors, biffs, boffs, and kapows. 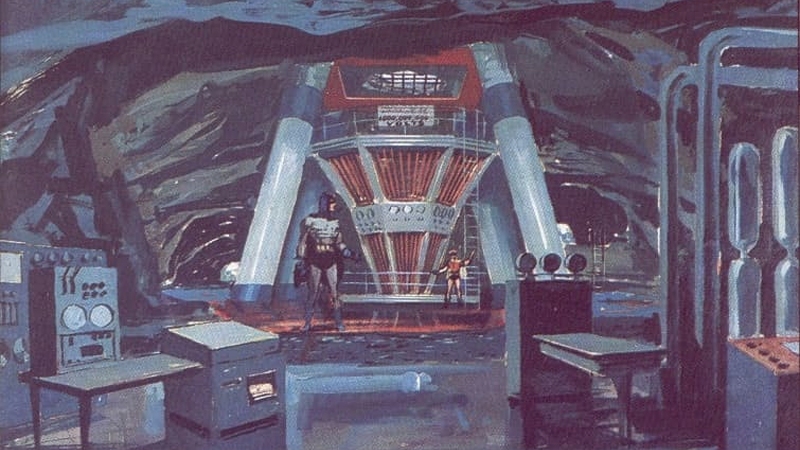 But these recently resurfaced pieces of production art go behind the scenes in seeing how that aesthetic was eventually brought to life. The artwork, by Leslie Thomas, was recently resurfaced by Batgirl Bat-Trap. Thomas’ work for Batman has been shown publicly before; several pieces of art were donated to Virginia Commonwealth University’s Comic Arts Collection and later publicly shown at the New-York Historical Society exhibition last year. With Adam West’s take on the Caped Crusader’s recent resurgence thanks to new comics, new toys, and even a new movie, it’s cool to get an insight into how the show’s iconic look was originally imagined behind-the-scenes. You can see more of Thomas’ Batman artwork over at Batgirl Bat-Trap.